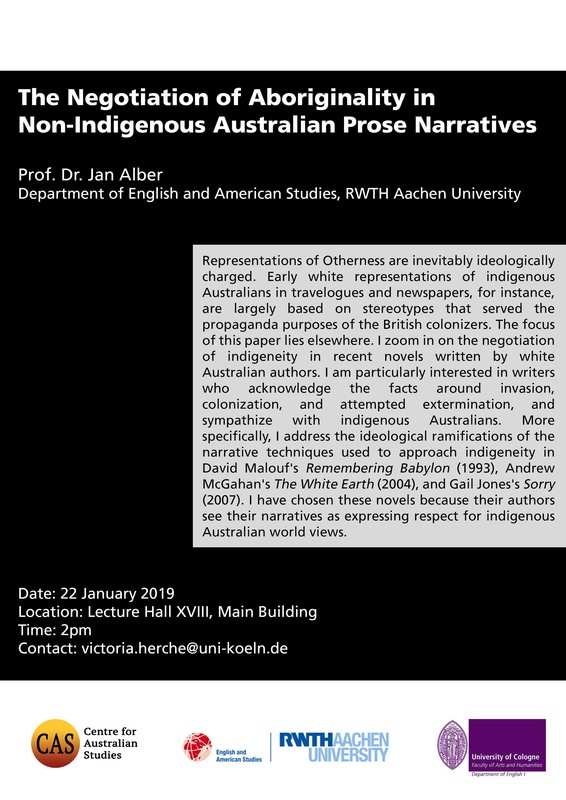 CAS is pleased to announce the first guest lecture in 2019, which will be held by Prof. Jan Alber from RWTH Aachen University, on “The Negotiation of Aboriginality in Non-Indigenous Australian Prose Narratives.” We are looking forward to welcoming our speaker and everyone interested in the talk, and a lively discussion afterwards. Please click here to download the flyer. Representations of Otherness are inevitably ideologically charged. Early white representations of indigenous Australians in travelogues and newspapers, for instance, are largely based on stereotypes that served the propaganda purposes of the British colonizers. The focus of this paper lies elsewhere. I zoom in on the negotiation of indigeneity in recent novels written by white Australian authors. 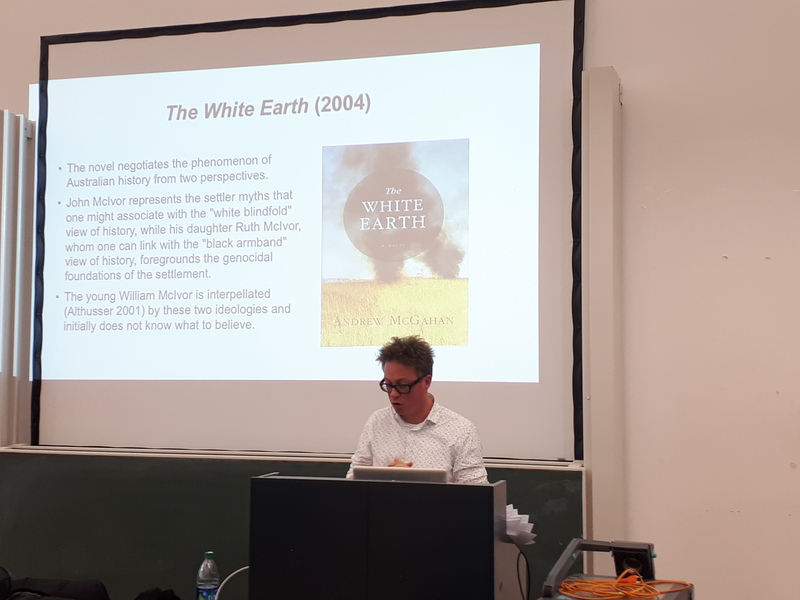 I am particularly interested in writers who acknowledge the facts around invasion, colonization, and attempted extermination, and sympathize with indigenous Australians. 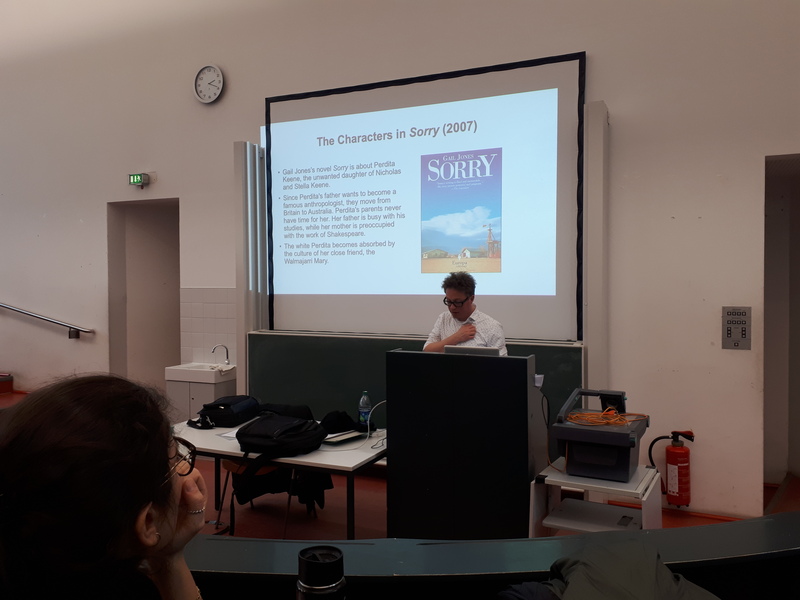 More specifically, I address the ideological ramifications of the narrative techniques used to approach indigeneity in David Malouf’s Remembering Babylon (1993), Andrew McGahan’s The White Earth (2004), and Gail Jones’s Sorry (2007). I have chosen these novels because their authors see their narratives as expressing respect for indigenous Australian world views.